May 16, 2017 — The Grand Canyon State is looking to be a focal point for the 2018 election cycle. 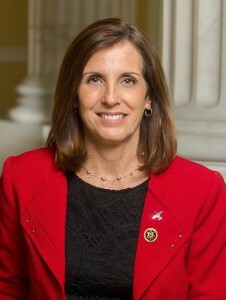 Sen. Jeff Flake (R) stands for re-election amid poor approval numbers within his own Republican Party vote base, while an interesting movement is occurring in what promises to be a competitive re-election effort for 2nd District sophomore Congresswoman Martha McSally (R-Tucson). The Democrats have a fundamental non-correctable problem facing them in the 2018 US Senate cycle. That is, they must defend 25 of the 33 in-cycle seats with arguably only two conversion targets. In Nevada, which should be their top opportunity, Republican Sen. Dean Heller has yet to even draw a serious opponent, though it is still early. Therefore, the impending Arizona contest, highlighted by the public feud between Sen. Flake and then-candidate Donald Trump, becomes a more viable Democratic target than one would normally surmise based solely upon Arizona voting history. The Senate race has already drawn early cycle attention, generally involving potential statewide candidate Kyrsten Sinema (D-Phoenix), the 9th District congresswoman. Seeing her raise almost $700,000 in the first quarter and holding $2.8 million in her campaign account was commonly interpreted as amassing funds for a statewide campaign. Within the past 10 days, while being interviewed on a Phoenix radio show, Rep. Sinema indicated that she is running for re-election, seemingly removing herself from a Senate race. A day later her spokesperson claimed that nothing had changed and Sinema could well run statewide. Even this early in an election cycle, some obvious 2014 targets are evident. In the Senate, majority Democrats must protect 20 seats versus 13 for Republicans. The GOP will need to convert six Democratic states in order to re-capture the majority for the first time since 2006. In the House, it’s much too early to tell how the cycle will even begin to unfold, but the 2012 winners who scored at or below 50 percent normally find themselves in vulnerable situations two years later. There are 20 winners who scored a bare majority or less in their win last month. Already, there appear to be four potential toss-up campaigns on the horizon at the very beginning of the election cycle. Two states already have announced challengers to Democratic incumbents that many believe are headed for retirement despite the senators themselves saying they are planning a re-election campaign. • West Virginia Rep. Shelley Moore Capito (R-WV-2) officially announced that she will challenge five-term Sen. Jay Rockefeller (D) in the next election. With West Virginia now trending deep red and Rockefeller launching verbal attacks against the state’s dominant coal industry, this race must be cast as an early toss-up. Should Rockefeller — who will be 77 years old at the time of the next election — not seek another term, Capito will be considered the early favorite. • Former South Dakota Gov. Mike Rounds (R) also has announced that he will run for the Senate in 2014. 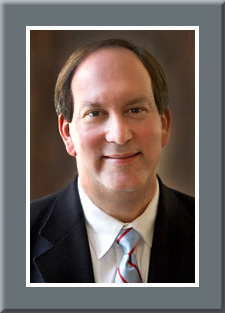 He will challenge three-term Sen. Tim Johnson (D). Rep. Kristi Noem (R-SD-AL), who was just re-elected to a second term, also has not ruled out a Senate run, meaning that she would first have to challenge Rounds in the Republican primary. Publicly, she is not closing the door on any 2014 option. A Johnson-Rounds campaign would also have to be rated as an early toss-up. The senator would be favored against Rep. Noem. • Alaska Sen. Mark Begich (D) stands for a second term after defeating veteran Sen. Ted Stevens (R) by a slim 48-47 percent count in 2008. Stevens was fighting a Justice Department legal onslaught that fell apart on the prosecutors but only after Stevens had already lost to Begich. As you know, the senator was later killed in an airplane crash. This campaign will be interesting. A strong challenger such as Gov. Sean Parnell (R), could make this a very tight campaign. • Considering that North Carolina was only one of two states that switched from supporting Pres. Barack Obama in 2008 to Mitt Romney last month, freshman Sen. Kay Hagan (D) will seek a second term and be rated in a toss-up campaign from Day One. There is no clear challenger on the horizon, but whomever the Republicans choose will be a serious contender. The 2014 election cycle will be a long one, but count on these four Senate races grabbing a major share of the political attention for the next two years. * Italics: Seat will likely be re-drawn in 2013 redistricting. The electoral results announced this weekend produced a Democratic clean sweep of the political overtime campaigns. All US House races now possess either an official or definitive winner with the exception of the double-Republican run-off in Louisiana’s 3rd District (to be decided Dec. 8). On election night, all but nine races were called forcing a tight count of the early, absentee and provisional ballots in the affected jurisdictions not producing a winning candidate. Though each of the nine campaigns were originally too close to call, final projections released over the weekend proclaimed Democrats as winners in the remaining outstanding elections, joining those previously declared overtime victors. The final results in AZ-2, NC-7, and FL-18 completed the Democratic sweep. After Rep. Ron Barber (D-AZ-2) expanded his lead to 1,402 votes of more than 285,000 cast with only about 15,000 absentee ballots remaining as of late Friday, Republican Martha McSally conceded the election to the short-term House member on Saturday afternoon. Barber was originally elected in June to fulfill resigned Arizona Rep. Gabrielle Giffords’ unexpired term. Running in the regular election for the newly configured 2nd District, Barber ran into a much more difficult competitor in McSally than originally forecast. It would not be surprising to see the two square off again in 2014, as the former Gulf War veteran and Air Force pilot received high marks for her ability as a candidate. Also on Friday in southeast North Carolina, Rep. Mike McIntyre (D), who had been redistricted into a much more Republican seat, officially clinched re-election over state Sen. David Rouzer (R). The final tally separates the two candidates by 655 votes, a spread that falls within the legally proscribed margin to trigger an automatic recount. Though all the ballots will be officially counted again, the outcome is likely to remain the same and McIntyre will almost assuredly serve a ninth term in the House. Rep. Allen West’s (R-FL-18) post-election saga continues but, barring an unforeseen development in the final early voting count, Democrat Patrick Murphy has defeated the outspoken one-term incumbent. Even after recounting the final three days of received early ballots resulted in West gaining on Murphy and both candidates seeing their vote totals decline, St. Lucie County Circuit Judge Larry Schack denied the congressman’s motion to re-tabulate all of the early ballots. But, in a surprise move on Friday, the St. Lucie County Election Commission voted 2-1 to grant West’s request. Despite the commission decision, and with Murphy’s lead now expanding to more than 2,100 votes, it is highly unlikely that the result will be overturned. West will then have to decide whether to make a post-certification legal challenge once the results are deemed to be final and official. All Florida counties were required to report their final canvass results to the Secretary of State yesterday. The state must certify all of the state’s elections on November 20th. In addition to the aforementioned results, the previously declared overtime winners are Rep. Jim Matheson (D-UT-4), California challengers Raul Ruiz (D-CA-36), Ami Bera (D-CA-7), and Scott Peters (D-CA-52), and Arizona open seat candidates Ann Kirkpatrick (D-AZ-1) and Kyrsten Sinema (D-AZ-9). The House will divide with 234 Republicans and 201 Democrats, a net gain of eight seats for the Dems. Arizona election officials have called the new 9th Congressional District race for Democrat Kyrsten Sinema, a former state senator. She has defeated Paradise Valley Mayor Vernon Parker, Republican. With 100% of the precincts reporting, Sinema has 48.3% to Parker’s 45.3%, a difference of 6,500 votes, exactly. There are further ballots to count, but not enough to alter the outcome. Sinema won the early vote 49.1% to 44.9%, but outpaced Parker on Election Day by only 98 votes. So far in the counting, 154,267 votes were cast early versus 62,080 on Election Day. Sinema’s victory means just one Arizona congressional race remains undecided, that in the new 2nd District, a campaign between Rep. Ron Barber (D) and challenger Martha McSally (R). Earlier in the post-election process, former Rep. Ann Kirkpatrick (D) was declared the winner in the new 1st District. Turning to the outstanding 18th District in the state of Florida, the court-ordered recount of the St. Lucie County early votes seems to be giving Rep. Allen West’s (R) claims of an irregular counting process some support. Already, in the first stage of the special canvass — the ballots received in the final three days of the early voting period — both candidates’ vote totals have been reduced. West originally charged that votes were double-counted. In the new counting, West has seen his vote total fall 132 votes, but Democrat Patrick Murphy’s total receded by 667 votes. This allows the one-term congressman to move a net 535 votes closer to his challenger. West is now 1,907 votes behind, district-wide. The results certainly give the congressman more evidence to call for a full recount. On election night, the totals yielded West an approximate 1,700 vote lead. Once the St. Lucie early votes were added, the totals swung by about 4,000 votes in Murphy’s favor. West argues there were not enough votes cast to allow for such a swing margin, hence his double-counting charge. As the Republican National Convention belatedly got underway in Tampa Tuesday, voters in four states went to the polls but only two of those places, Oklahoma and Arizona, hosted races of significance. A run-off election was held in Oklahoma’s 2nd District for both parties in order to continue the replacement process for retiring Rep. Dan Boren (D-OK-2). Former Democratic district attorney Rob Wallace knocked off local Farm Bureau executive Wayne Herriman by a 57-43 percent count. Wallace will face businessman Markwayne Mullin who won the Republican nomination by the same margin. Democratic turnout, however, was much higher than that for the GOP, about 44,000 voters to just over 21,000. The Eastern Oklahoma 2nd District is viewed as a strong Republican conversion opportunity. Though the 2nd is the most Democratic seat in the state, Oklahoma voters are expected to support Republican presidential nominee Mitt Romney in such landslide proportions that additional momentum will be generated for Mullin in the congressional contest. But the big prize in last night’s primary contests was Arizona. As expected, Rep. Jeff Flake (R-AZ-6) easily captured the Republican Senatorial nomination, defeating businessman Wil Cardon by capturing more than two-thirds of the Republican vote. 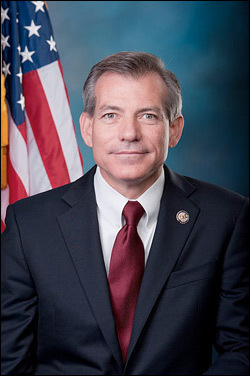 In the Scottsdale-anchored new 6th Congressional District, in a paired major battle of two incumbent freshmen Republicans, Rep. David Schweikert (R-AZ-5) defeated his GOP colleague, Rep. Ben Quayle (R-AZ-3), by a 53-47 percent margin. This has been a hotly contested campaign since the beginning, with each candidate attempting to sell himself as the more conservative stalwart. Schweikert will easily win the general election and should be able to hold this seat for the remainder of the decade, barring any type of further significant primary challenge. In the expansive eastern 1st CD, also producing no surprises, former representative Ann Kirkpatrick took the Democratic nomination and will face former state senator Jonathan Paton who was a landslide winner on the Republican side. The 1st is a highly marginal district, so expect a fierce battle in the general election. In the new southeastern 2nd District, formerly numbered 8, newly elected Rep. Ron Barber (D), fresh from his recent special election victory, will attempt to win a full term against former Gulf War veteran Martha McSally (R). The western 4th District was drawn as Arizona’s safest Republican seat, which explains why freshman Rep. Paul Gosar moved here from the marginal 1st District despite only representing one-third of the new constituency. The ploy worked as Gosar defeated state Sen. Ron Gould and GOP businessman Rick Murphy, while overcoming more than $800,000 in conservative independent expenditure targeted against him. The congressman should now have an easy ride in the general election, even though he only notched 51 percent of the vote against his two Republican opponents. Back in suburban Phoenix, former Rep. Matt Salmon looks like he has won a ticket back to Congress with a solid victory over former Arizona state House Speaker Kirk Adams. The 5th District is another safe Republican seat, so Salmon now appears to be a lock for victory in November. In the new marginal 9th District, also in the Phoenix suburbs, Democratic former state senator Kyrsten Sinema won her party’s nomination, defeating state Senate Minority Leader David Schapira and former state party chairman and Clinton Administration official Andrei Cherny. On the Republican side, Paradise Valley Mayor and former congressional candidate Vernon Parker won a very close Republican primary contest, as he placed first against six other candidates. Republicans had hoped Sinema would become the Democratic nominee because they believe she can be painted as too liberal for the CD-9 constituency. Expect a hot race here in the fall. Democrats should enjoy a slight advantage, and an edge that will likely expand throughout the rest of the decade due to demographic changes but, for now, the 2012 congressional battle must be considered a toss-up.